The first component of AlphaPilot qualifications will focus on team knowledge, experience, readiness, and cohesion. This is your chance to convince AlphaPilot judges that you have what it takes to tackle a difficult, year-long challenge. Your goal is to inspire confidence in your team’s ability to develop novel approaches to drone racing, bring the resources needed to compete, and mitigate real-world uncertainty. Test #1 will consist of two parts: written-response and video submission. Both parts must be submitted together via the Test #1 entry form. Teams may submit one and only one entry form, to be received from the Team Captain. Deadline for submission is March 11th at 5:00PM EST. To begin your entry, click the orange "Begin Entry" button or "Accept Challenge" button above. This section will consist of five questions addressing team experience with technical challenges, predictions for AlphaPilot technology development, and proposed development methodologies. Each written question has a limit of 4000 characters, including spaces. Describe your team’s composition, background, and qualifications as they relate to the AlphaPilot challenge and associated technologies. Why is your team the one to beat? *Note: teams may add or modify members following video submission, so long as all changes comply with AlphaPilot Rules & Regulations. However, teams will be assessed only on the members presented in their video. Have any team members participated in prior competitions focused on artificial intelligence and autonomy? Has your team worked together in the past on technical challenges with comparable scope or complexity? Please give examples and describe the results. What will make your team a success? What is your advantage? Who are your mentors, advisors, role-models? What about AlphaPilot inspires you? What will you do if you win AlphaPilot? Team Experience: team demonstrates experience working on similar technical challenges as part of their career, academic study, challenge programs, or personal hobbies. Team Knowledge: team demonstrates suitable knowledge of subject matter, including supporting evidence such as research, work experience, degrees, publications, and accolades. Team Cohesion: team demonstrates comfort working together and complimentary skillsets that could lead to a winning solution. There are no obvious logistic or social challenges that would impede a team’s performance. Team Resources: team demonstrates enough resources to develop, train, and test their solutions. This includes access to enabling hardware and software, support from organizations, and mentorship from thought-leaders. Team Perspective: team communicates a compelling perspective and driving force behind their participation in AlphaPilot. Team displays energy and passion for artificial intelligence and autonomous systems. Team members are doing interesting things in the field and have commendable aspirations. The AlphaPilot team is assembling a diverse panel of judges from academia, government, and industry; all top in their respective fields and considered though-leaders in autonomous systems and artificial intelligence. We will leverage their expert opinions and experience working in the field to identify top AlphaPilot teams. 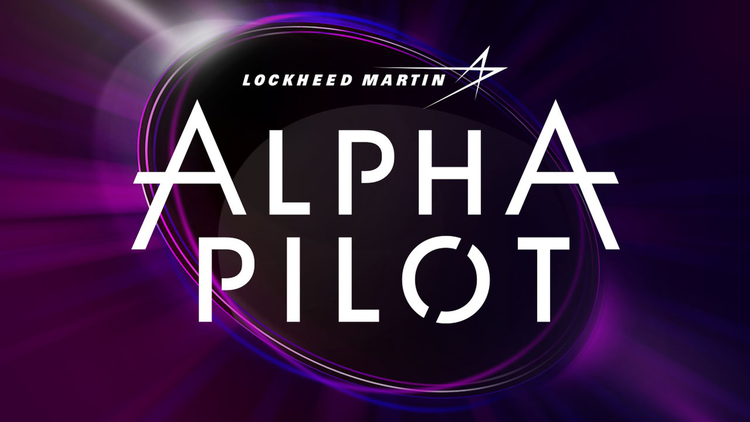 You can learn more about the AlphaPilot judges from their biography pages, which will be posted shortly. What information are you looking for in the Test 1 video? We have a team of 10 people, what should we prioritize given we only have three minutes. AlphaPilot is a year-long endeavour. Aside from technical performance in Test #2 and Test #3, we want to know that your team is a solid investment. Do you have the cohesion and commitment to see the challenge through? We don’t want teams that will break-up, become distracted, or lose interest half-way through. Do you appreciate the difficulty of AlphaPilot and the level of effort that will be required? Have you thought through possible setbacks? Can you reference some examples of difficult software problems and how you handled them? What makes your team unique – i.e. more than a group of individuals? In summary, make us feel confident in you as a team.